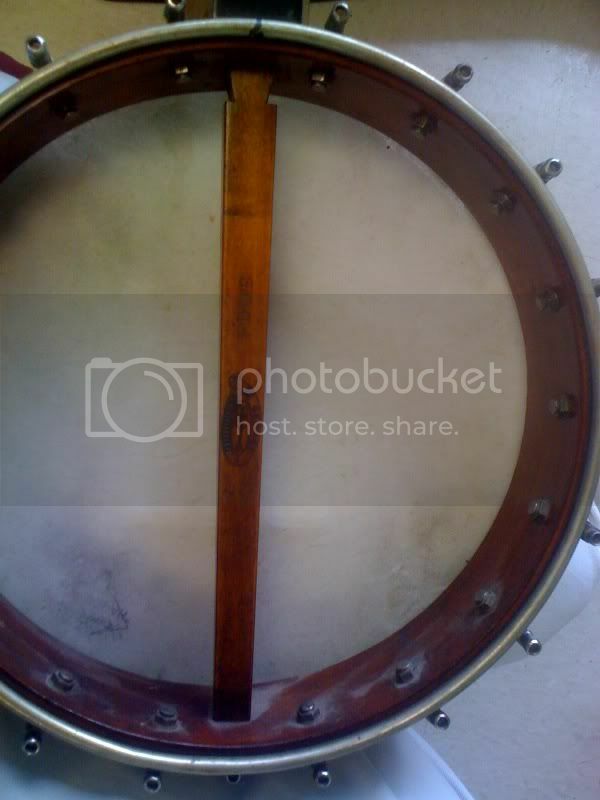 can anyone date an open back banjo stamped george washburn 5064? reuellis,I don't know anything about banjos, but I'm sure somebody on this forum will be able to help you. 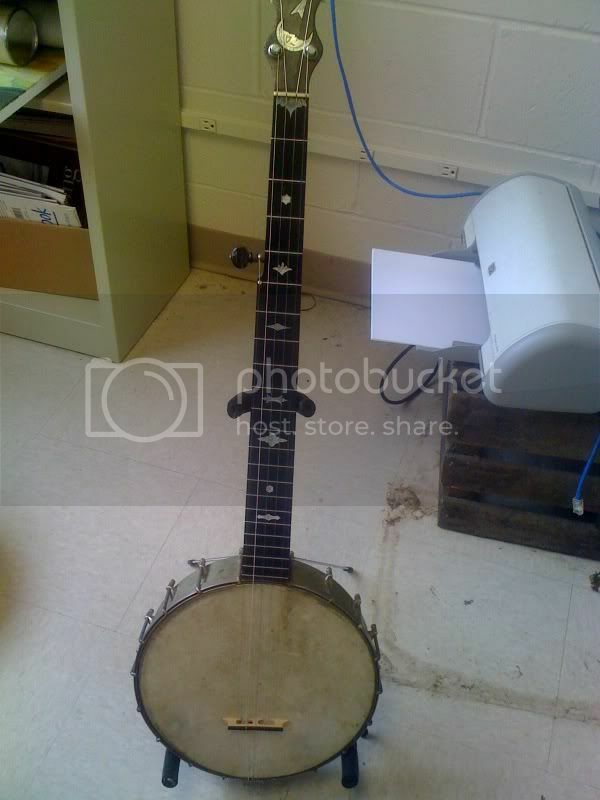 It would help to identify it, if you could post some pictures of your banjo. Nice, I don't know anything about the Banjo. 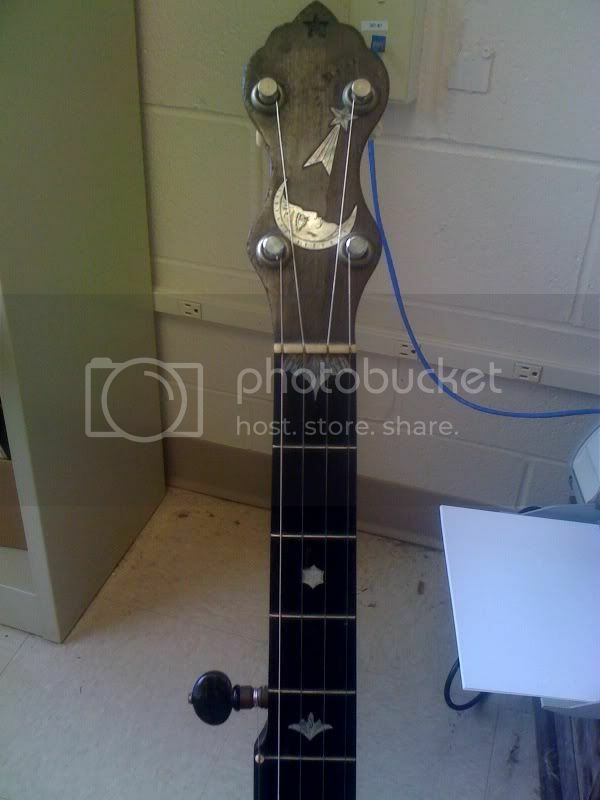 but damn, that headstock is cool. Sorry, I can't help date it but that puppy is vintage. The wooden coordinating rod (if you can even call it that) is interesting. Try posting at http://www.banjohangout.org/forum/ and see if you get any answers. I'd love to know what you find out about it.